If you have been charged with a felony, hiring an experienced felony defense lawyer may be the most important thing you do in your life. In Maryland, a felony is the most serious criminal charge, reserved for activity the government considers especially harmful or dangerous. But the fact is, criminal defendants are frequently charged with a more serious crime than they deserve. Innocent people sometimes find themselves facing felony charges simply because the police made a mistake. In other cases, what should be a misdemeanor is ramped up to a felony because the state failed to exercise fair judgment when assessing the crime. It may also be that the alleged crime is, in fact, a felony, and an experienced La Plata & Waldorf felony lawyer is needed to effectively refute the charges and help ensure penalties are reduced to the greatest extent possible. Our lawyers understand how frightening, demoralizing, and arbitrary felony charges can be. We are here to protect your rights and fight for your freedom. Our attorneys possess an in-depth understanding of Maryland criminal law and can powerfully defend you against even the most serious felony charges. We know that anyone can make a mistake—many good people have slipped up and found themselves on the wrong side of the law. But even if you are wrongfully accused, attempting to handle felony charges on your own could forever impair your quality of life. Tackling any serious criminal charge without qualified legal counsel is an enormous mistake when you consider the ramifications. No matter the circumstances of your arrest, we can help you understand your legal options and protect your rights if you are facing felony charges. Contact The Law Office of Hammad S. Matin, P.A. for effective criminal defense representation against felony charges. 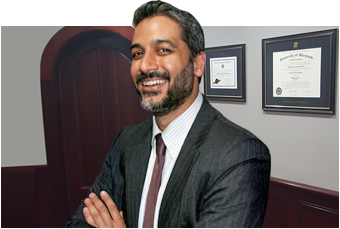 If you are facing felony charges in Charles County Circuit Court, please contact The Law Office of Hammad S. Matin, P.A. to handle your defense. We will work with you to thoroughly examine all the evidence in your case, anticipate the prosecution’s arguments, identify mitigating factors, and mount an effective challenge to minimize the penalties you might otherwise face. Our La Plata & Waldorf felony defense lawyers led by a former Charles County prosecutor, so you can trust us to know how to best proceed to secure your best outcome.